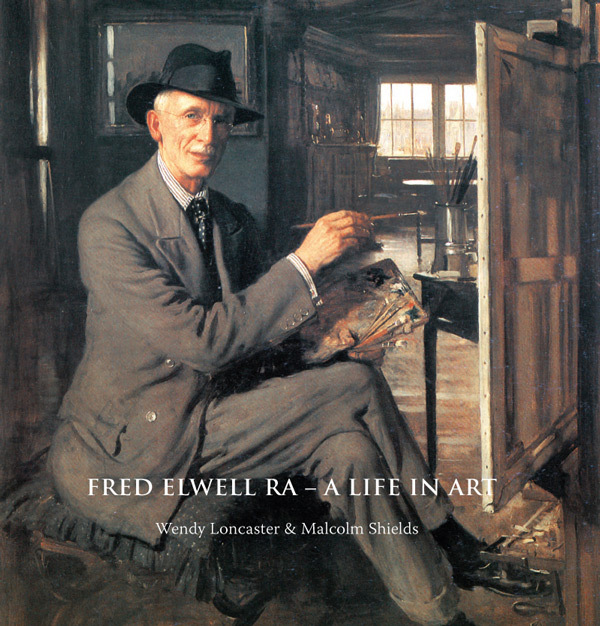 Open this beautiful book and join us on an inspiring voyage of discovery to reveal one of the true masters of British painting, Frederick William Elwell RA (1870­ - 1958). Elwell’s stunning portfolio glows with the very real observations of an exceptionally talented and perceptive artist. Born in Beverley, East Yorkshire, Elwell enjoyed a long and active career, extending from the dazzle of Belle Époque Antwerp and Paris to the bleakness of post­war Britain. His early years in Europe enriched his work and engendered in him a fascinating versatility of style, ranging from the Dutch and Flemish Old Masters, to Impressionism or the freshness of English Realism. Throughout he displays an integrity of subject constantly enhanced by brilliant effects, harmonious and pleasing to the eye. We also recognise today how skilfully he illuminates the period in which he lived. Carefully researched over a period of 25 years, the book offers an entertaining view of Elwell’s life and background—watch out for other gifted members of the Elwell family!—as well as a galaxy of over 140 large­ format colour plates representing his work in all its variety. A very readable analysis accompanies each painting for your enjoyment. The book is luxuriously printed, bound and stitched, and written with scholarship and attention to detail, yet in a style that carries you along. Elwell’s own warm and humorous character, wit and natural charm shine out from its pages. Congratulations. The book is magnificent. I recommend it to all those interested in the history of art in the twentieth century. Whatever changes in tastes and fashion there may be in the future, Elwell's paintings will remain as an important record. Apr 28, 2016 — The significant stature of Frederick W Elwell in English art history has come to the fore in a scintillating and absorbing entry in the Oxford Dictionary of National Biography online.